A new OSU study shows a lack of child care across the state in Oregon. 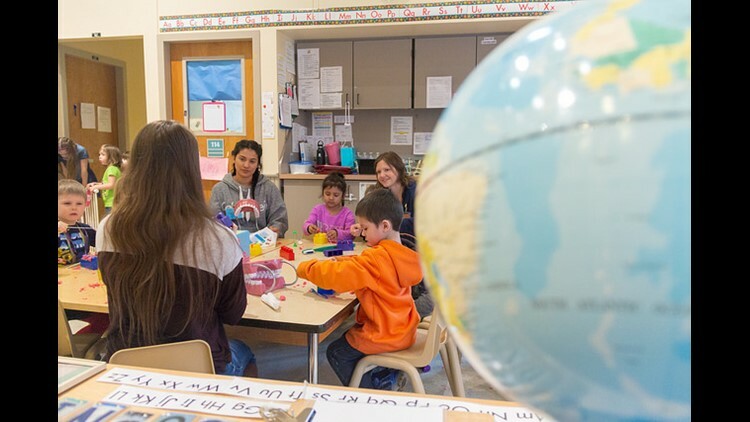 CORVALLIS, Ore. — A new study shows a shortage of child care in Oregon. The study, done by Oregon State University, showed child care "deserts" in all counties of the state. A child care desert happens when there are three or more children for a single regulated child care slot. This includes home providers and child care centers licensed by the state. The reports focused on the availability of child care but did not deal with quality or price of that care. The median annual price of care for a toddler in a center was $14,160 in 2018. Around the state the study showed there were eight infants and toddlers ages 0-2 per slot. For preschool children, ages 3-5, there were three for each slot. The report was the first to map child care by age groups and counties. It was commissioned by the Oregon Early Learning Division. You can read the report here.